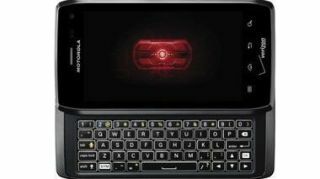 Some Motorola Droid 4 owners may have been pleasantly surprised when they got a notification on their phones Monday announcing a new software update was available for their devices. And, they probably got really excited when they realized just what that update is: Android 4.0.4, better known as the Ice Cream Sandwich operating system. Verizon announced approval of the update earlier Monday and while the company said the change would be available soon, it rolled out the first phase of the upgrade within a few hours. More uses will get the upgrade as phases continue. Hints of the change have been coming for weeks, with Verizon putting a document up online to "encourage" users to download the update and running a soak test last week. Overall, users can expect a better performing phone with many more capabilities and better connectivity. Among those improvements are better quality pictures, improved gallery performance, less force closes and restarts and Verizon's Remote Diagnostics tool. Global roaming, for those willing to pay, will also be an option thanks to the OS update. The upgrade lets Droid 4 joins the Droid Razr and Droid Razr Maxx in Ice Cream Sandwich land.